Whilst the big boys are battling it out for the best design, camera quality, processor and speed performance, battery life etc, there are some other brands also battling it out for the best value for money. Best value for money here means a smartphone you don’t have to break the bank for without compromising on those exact things the big boys are shouting about. 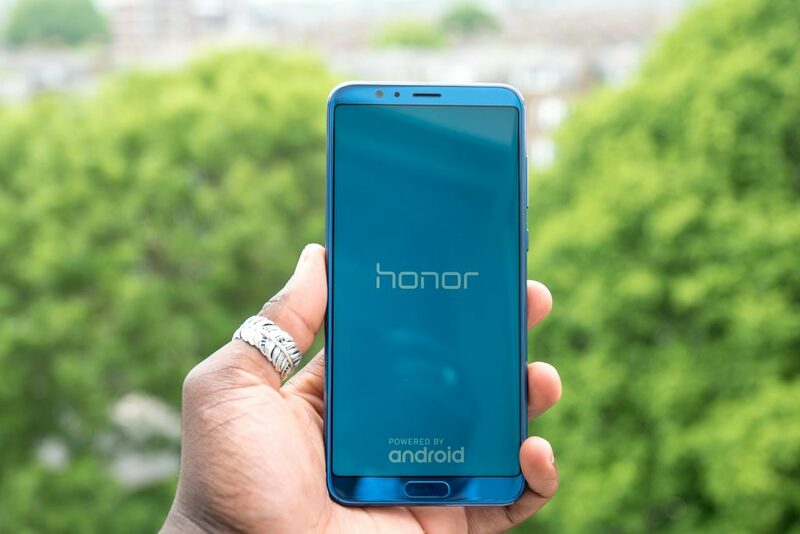 For half the price of the iPhone X or the S9, you can get yourself the Honor View 10, in fact, you could get a return flight to China to buy one and still have some money left. In the UK at launch, it was priced at £449, cheaper than the OnePlus 5T who’s equivalent (128GB storage option) costs £499. Like most devices from the Chinese smartphone manufacturer, you get a silicon case in the box and a screen protector preinstalled, but that aside, the View 10’s design is quite bland and definitely not one to write home about as such. 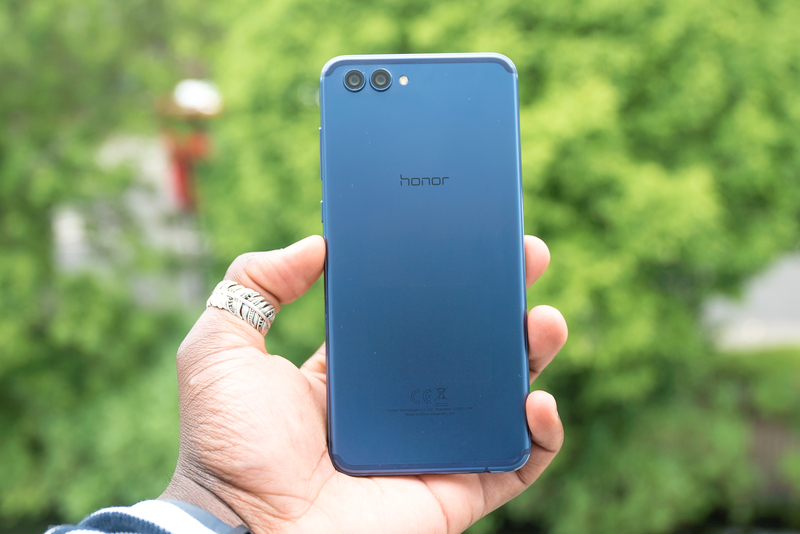 It has a dual camera set up on the back that protrudes, honor logo centered on the back, the usual button set up to the right of the device, namely the volume rockers and a power key. Face-on, you get a home button and a large display; the rear is aluminum and the front and back separated by a slim frame. Its 5.99-inch, 18:9 display is stretched out on the sides with minimal bezels for the best viewing experience possible which I quite like. I’ve recently come to a realization that it’s possible for a phone to feel premium but not look premium; the View 10 is exactly that. When held in hand, it feels comfortable and natural, actually, the tall display makes it sturdy in hand. 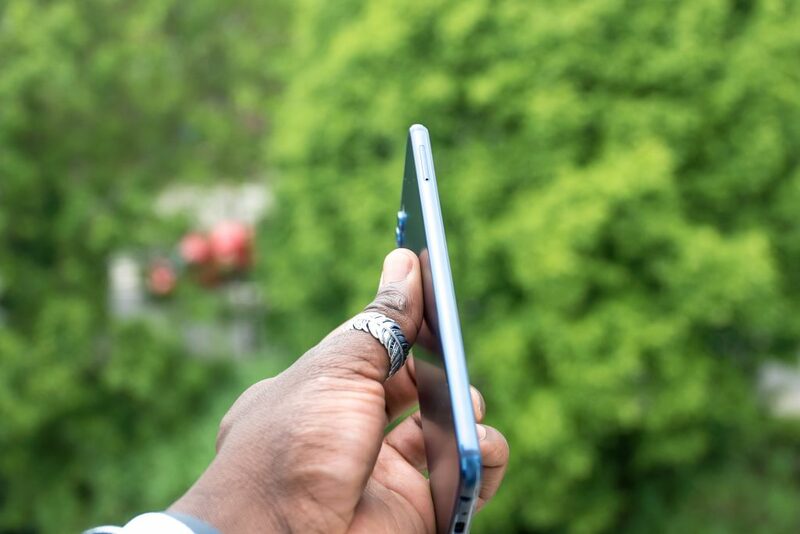 At 7mm thick, it’s definitely on the slim side, it’s slimmer than the iPhone X and seems like a confused design when you consider the cameras sticking out on the back. 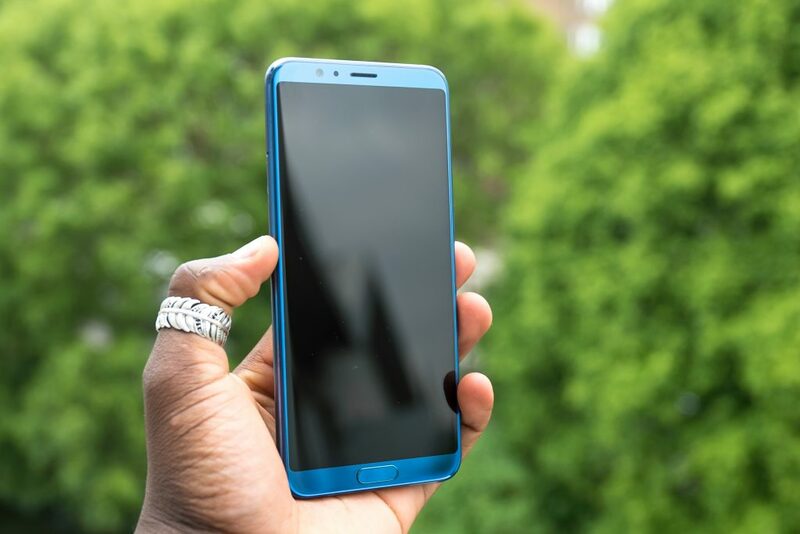 You could pull the back out as far as the cameras stick out and give it a larger battery so not only do you get a nice phone at that price point but also a larger battery that will last longer – potentially another USP over its rivals and the big boys. The home button doubles up as a fingerprint sensor or unlocking the device, it sits almost flush to the screen with a slight lip around it which is most likely there to help you quickly feel for it. 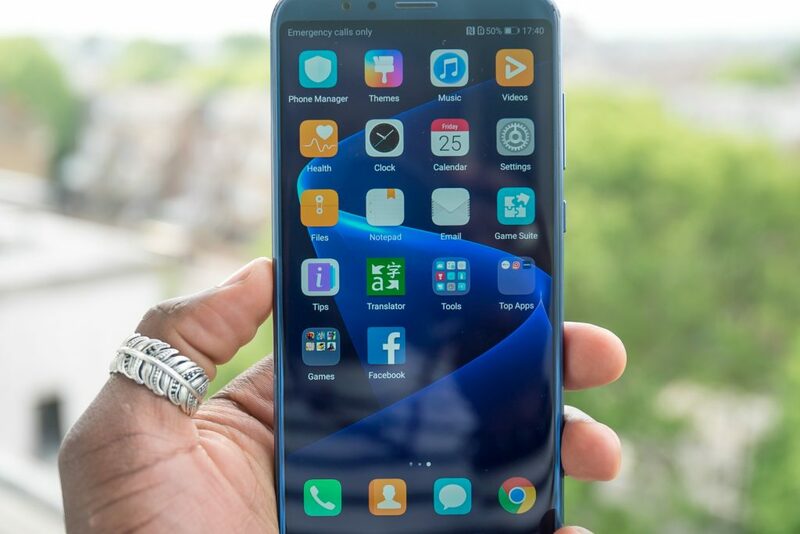 It works extremely fast, something I’ve become accustomed to when it comes to Honor or Huawei devices in general; there’s also a face unlock feature which uses your facial feature to quickly open up your phone for use, and it works really well, in fact, faster than the iPhone X in most cases and definitely faster than the S9. One other let down when it comes to design is durability, the View 10 is not officially accredited a water resistance rating, so I wouldn’t submerge it but I assume it will still be fine for small splashes. Overall, the View 10 feels premium but doesn’t look it, it keeps the 3.5 mm headphone jack and you can even expand its 128gb internal storage using a microSD card. 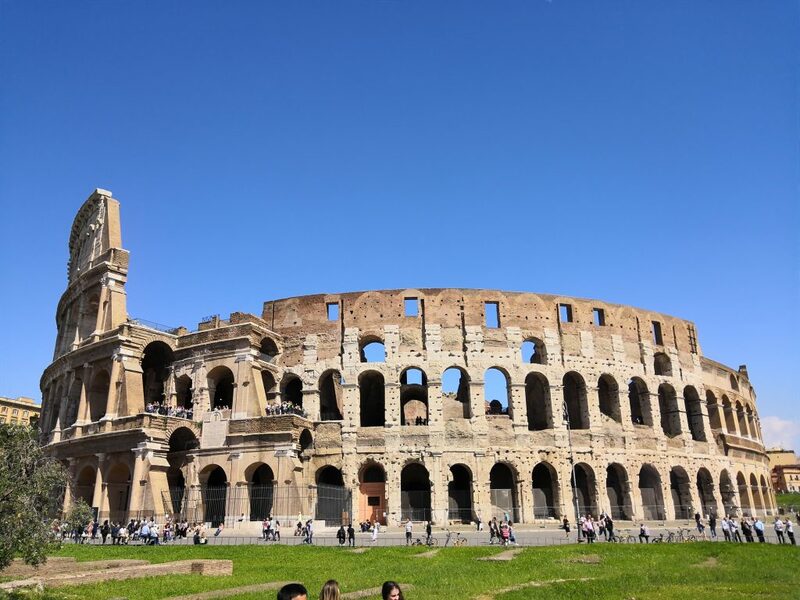 Its FHD+ display is vibrant and bright for visibility when using it in a sunny environment as I found out when using it in Rome. 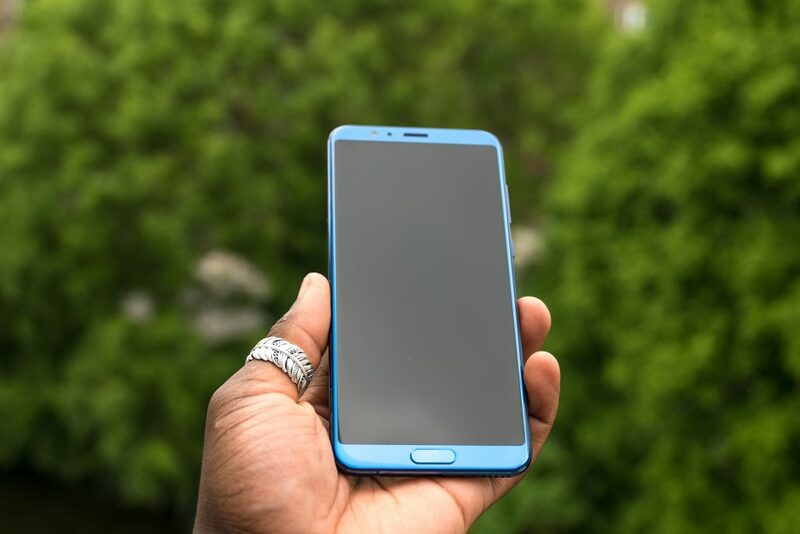 Writing this review, the version we have was running on Android 8.0.0 with Huawei’s EMUI 8.0.0 on top of it; with EMUI comes bloatware, some useful, some not so much and it’s not for everyone. Over the years, it’s gotten better and I can’t knock it really, it’s less laggy. EMUI requires some level of customisation before you can get used to it, for example, you have app twin which allows you to run two instances of an app at the same time, you can change the home screen style to allow for app drawer like normal Android UI, you can even go further can change screen vividness and temperature to suit your style. Under its aluminum chassis, you have a Kirin 970 CPU with a 12-core Mali-G72 graphics combo. Putting it through its paces, it doesn’t disappoint at all; games load fast, apps run with no issues and even when loading multiple apps with processor intensive ones parked in the background, the View 10 feels like a more expensive flagship device which is impressive for a mid-ranger. Elsewhere, you get an IR blaster, something Huawei and Honor have kept going, it’s a rarity on phones these days and it means you can use it to control your TV or set-top-box for example; something I find useful when I travel and stay in hotels with restricted remote controls. 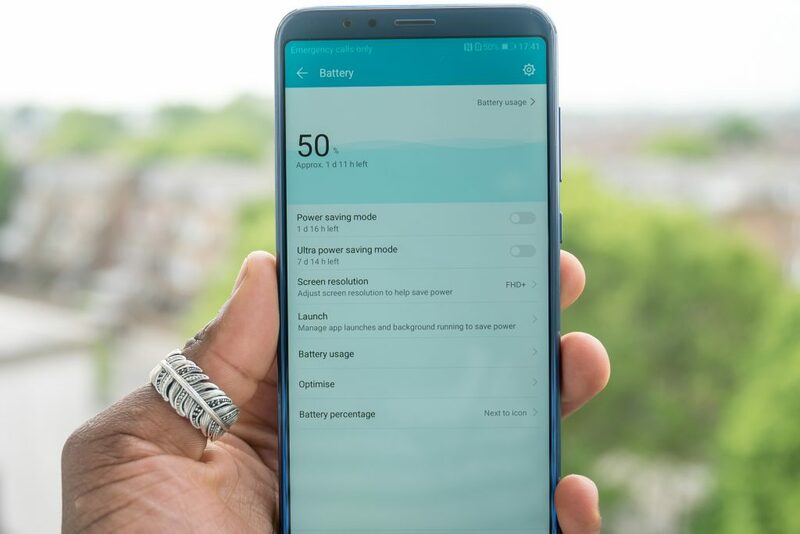 For battery performance, there’s a 3,750 mAh battery, higher than most of its competitor and just shy of the Mate 10 or the P20’s battery capacity. One thing I will say here is although I’ve already criticised the View 10 on its camera bump and how it could have been pulled back a bit to include a larger battery, the View 10 still delivers a full day and a bit on a single charge, and that is impressive. Specs info first! There’s a 16MP RGB sensor and a 20MP monochrome sensor, so if black and white photography is your thing, then it’s definitely one to consider; what’s also smart is the 20MP sensor helps the 2x zoom retain details rather than a traditional single-lens digital zoom method. 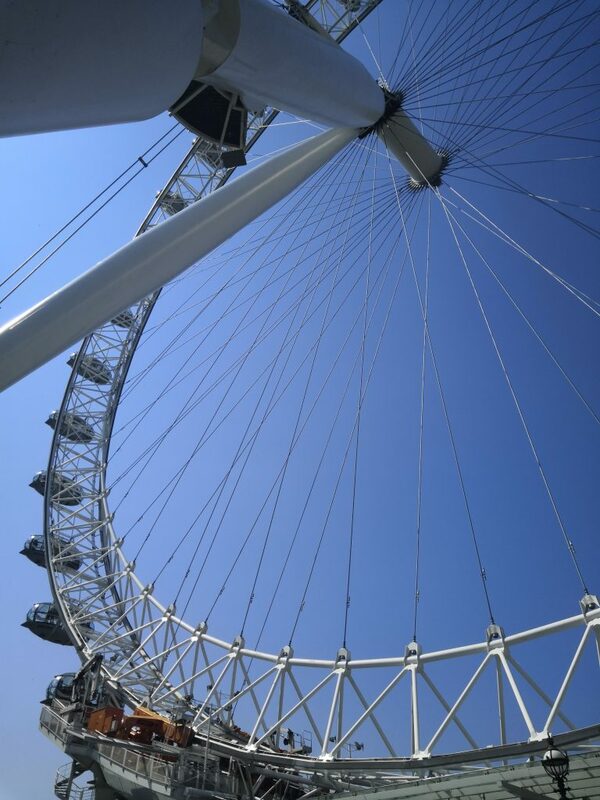 In the settings, you can select HDR mode if not happy with what the default settings can do, PRO mode so you can adjust some of the settings like ISO and shutter speed and in the camera UI, you can select the wide aperture to get more creative. With all the settings available, however, how well does it translate in the real world? When you have a good level of lighting, the example in the image I took above and below in London and Rome, they look great, even the dynamic range comes out very good, however, the sharpening can be too much at times that when zoomed in, you lose detail. For those looking to just share on social media, this is more than enough, but for anyone else, not so much. 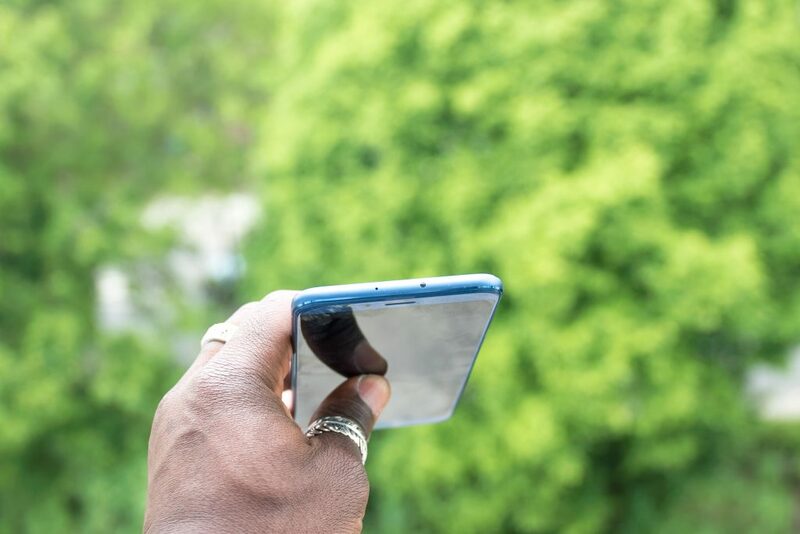 Using the 16MP mode, you can also use the 2x zoom option, but I rarely liked using it because it loses a lot of detail and applies artifacts around the edges – it’s a fun camera to use for social media sharing and documenting your life. For video, the View 10 can shoot up to 4K videos, 1080p at 60fps and on the front you can shoot at 1080p too and from my tests, I actually quite like the results, again, not something that competes with the likes of the S9. It offers object tracking when shooting in standard FHD mode and anything above, you lose that option. Oh did I forget to mention you can save RAW images in PRO mode too? decent! It’s an all-round great device and definitely worth its price tag. As mentioned a few times, it feels premium or more expensive than it is, providing you’re not fussed about not having a glass front and back which some deem the premium standard now, you can expand the already large 128gb storage (not all available to you, just about 118gb), you have a decent camera setup, good battery life and if I have anything negative to say, it’s that it looks boring and no water resistance rating. If you want a better camera for around the same price point then I’d suggest checking out the OnePlus 5T, but if overall bang for your buck is the priority, then the View 10 gets a go-ahead from me.